Help Us Pass Legislation to Protect Sharks and Rays in Hawaiian Waters! Photo by @OceanRamsey of #SharkIDRoxy, a tiger shark that has survived multiple entanglements over the years. Protect Roxy and other sharks like her by supporting these bills! Despite their ecological and cultural importance sharks have very little protection here in Hawaii. Water Inspired Conservation Group and One Ocean Conservation have introduced a bill that will prevent the purposeful killing of sharks and rays in Hawaiian waters. Stay tuned to this page as well as @WaterInspired @Keiko_conservation and @OneOceanConservation for updates and opportunities to submit testimony or be present at hearings. Not in Hawaii? No worries! You can still submit testimony online when hearings are scheduled and sign the petition below to send a strong message to decision makers that this bill is important to people around the world. HB 808 is still ALIVE and Senate Conferees have been appointed to resolve disagreement of amendments! Please continue to spread the word and stay tuned to @OneOceanConservation, @WaterInspired, @OneOceanDiving and @Keiko_Conservation for the latest news on the bill! Please stay tuned for the next action you can take to support this bill. Please continue to sign the petition (linked above) as it is ongoing. We want to bring it to every single committee to show the increased number of signatures so please continue sign and share with as many people as possible! Be sure to check back for updates and developments! The bill must pass a series of hearings requiring support at each level to make it to the next step. It’s important that even if you submit testimony for one of the initial hearings you continue to support at each hearing in order for the bill to pass and make it to the next level. Current Status of HB808: Be sure to check back for updates and developments! The bill must pass a series of hearings requiring support at each level to make it to the next step. It’s important that even if you submit testimony for one of the initial hearings you continue to support at each hearing in order for the bill to pass and make it to the next level. Stay tuned for future hearings and submit testimony to support! Please help us pass HB808. Sharks and rays are extremely important to ocean ecosystems. As ocean predators near the top of the food chain, sharks keep the ecosystem balanced, regulate populations of other marine life, and ensure healthy fish stock and reefs. Sharks and rays are more vulnerable than most other fish species. They are long-lived and slow-growing, start reproducing at an advanced age, and produce relatively few offspring per year. If the food chain is disrupted by a decline in the shark population, it affects the entire ocean ecosystem, known as a trophic cascade. Protection for sharks and rays ultimately means healthier, more resilient oceans and reefs that are better able to withstand other pressures on the ocean ecosystem from climate change and pollution. Sharks and rays not only play important ecological roles but are also valued figures in Hawaiian culture and are important economically to ocean recreation industries and to tourism in Hawaii. Sharks or manō are regarded in high honor as Hawaiian ʻaumakua or family guardians and ancestors. These figures are deeply ingrained in Hawaiian culture and are known to provide protection for native Hawaiians. To defend and seek to spend time with these animals is a cultural right in Hawaii. Ecosystem models predict that the removal of sharks can result in complex community changes, including trophic cascades, mesopredator release, and consequent declines in some commercial fish and cascading changes in some coastal ecosystems (Ferretti et. al 2010). Additional research indicates that the removal of shark and rays may alter size, structure and population parameters in response to changes in species abundance (Stevens et. al 2000). In the context of ecosystem-level changes specific to Hawaii, a study published in 2000 examined the potential long-term impacts of the removal of sharks with the use of a dynamic model ECOSIM that predicts changes in biomasses, yields, and consumption for each group through time. They found that when tiger sharks were removed from the model a total and rapid crash in the abundance of tuna and jacks, and an increase in bottom fishes occurred due to increases in seabird populations which compete with tunas and jacks for food and where no longer subject to top-down control by tiger sharks (Stevens et. al 2000). While ecological relationships are very complex and difficult to simulate this study highlights the potential for unforeseen and intended consequences when sharks are removed. Further evidence for the ecological importance of sharks can be found when the density, size, and biomass of reef fishes in northwestern Hawaiian islands a large, remote, and lightly fished area, and the main Hawaiian Islands (MHI), an urbanized, heavily fished area. The study by Friedlander & DeMartini in 2002 revealed dramatic differences between the two ecosystems, as grand mean fish standing stock in the NWHI was more than 260% greater than in the MHI, more than 54% of the total fish biomass in the NWHI consisted of apex predators, (primarily sharks and jacks) whereas this trophic level accounted for less than 3% of the fish biomass in the MHI. The study concluded these differences represent both near-extirpation of apex predators and heavy exploitation of lower trophic levels in the MHI compared to the largely unfished NWHI (Friedlander & DeMartini 2002). A 2008 publication by the DLNR-DAR of Hawaii found that Oahu’s reefs have around 1/10th the biomass of apex predators (Willaims et. al 2008), indicating that anthropogenic pressures through the main Hawaiian islands has dramatically reduced populations of sharks and rays that are particularly susceptible to over-exploitation due to life history characteristics including slow growth, late attainment of sexual maturity, long life spans, low fecundity (Stevens et. al 2000). 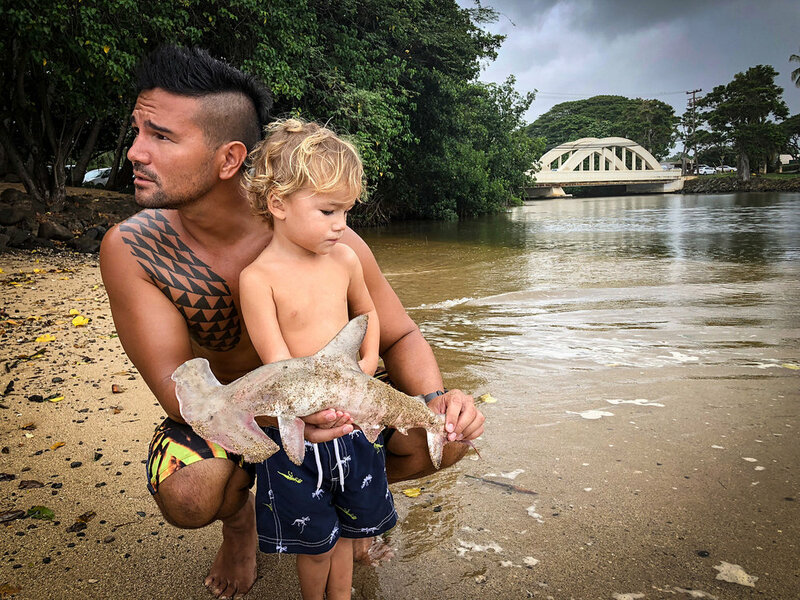 Based on the scientific studies cited above there is a very clear argument for protecting sharks and rays in Hawaiian waters for their ecological, cultural, and intrinsic value. The long-term ecological implications of the removal of apex predators are difficult to document, but when it comes to conserving such a vital component of our marine ecosystems the precautionary approach should be taken to ensure healthy populations of these animals persist for future generations. Ecological relationships are extremely complex and difficult to generalize across 40 different species of shark found in Hawaii, but it would be unwise to assume these predators with a history of over 400million years in the ocean have no structural impact on the world around them. The benefits of maintaining viable populations greatly outweigh any value that would be gained by killing these species. Sharks have very little functional protection here in Hawaii, and with shark populations dropping rapidly around the world the time for action is now. ‘Aumakua roughly translates to a great number of those worshiped by their ancestors (Kirtley and Moonkini 1979). A common form the ‘amakua would take was that of sharks (Beckwith 1917). It was believed that when a body was thrown out to sea the corpse changed into a shark and was worshiped as such (Kirtley and Moonkini 1979). Given the important union shark ‘amakua represent between god and human, preservation for the sake of cultural significance is imperative. Unregulated fishing of sharks and rays off the coasts of Hawaii pose a threat to maintaining healthy population levels. We urge you to support HB808 and ensure these animals persist for future generations. I support HB808 and I hope you will, too. Jonathan J. Dale, Carl G. Meyer, and Christian E. Clark, “The Ecology of Coral Reef Top Predators in the Papahānaumokuākea Marine National Monument,” Journal of Marine Biology, vol. 2011, Article ID 725602, 14 pages, 2011. https://doi.org/10.1155/2011/725602. Friedlander, Alan & DeMartini, EE. (2002). Contrasts in density, size, and biomass of reef fishes between the northwestern and the main Hawaiian islands: The effects of fishing down apex predators. Marine Ecology-progress Series - MAR ECOL-PROGR SER. 230. 253-264. 10.3354/meps230253. D. R. Stevens, J & Bonfil, Ramón & Dulvy, Nicholas & A. Walker, P. (2000). The effects of fishing on sharks, rays, and chimaeras (Chondrichthyans), and the implications for marine ecosystems. Ices Journal of Marine Science - ICES J MAR SCI. 57. 476-494. 10.1006/jmsc.2000.0724. Kirtley, Bacil F., and Esther T. Mookini. "Essays upon Ancient Hawaiian Religion and Sorcery by Nineteenth-Century Seminarists." (1979). Beckwith, Martha Warren. "Hawaiian shark aumakua." American Anthropologist 19.4 (1917): 503-517. Beckwith, Martha. Hawaiian Mythology. University of Hawaii Press, 1970. Print. “FINS ARE A HIGHLY VALUED PRODUCT THAT IS DRIVING SHARK SPECIES TO EXTINCTION. WHY DO WE NEED PROTECTION FOR SHARKS IN HAWAII? 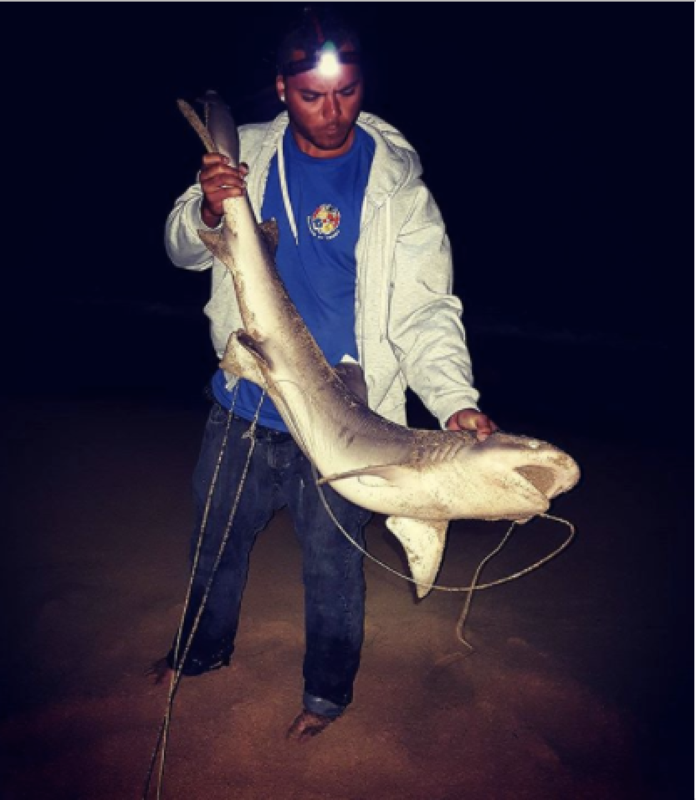 The photos below represent a fraction of the numerous instances of purposeful killing of sharks in Hawaiian waters (many more available upon request) Many people are simply unaware this is happening in their back yards and for every case on social media there are likely many more that go undocumented.